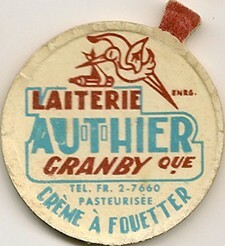 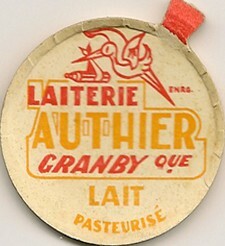 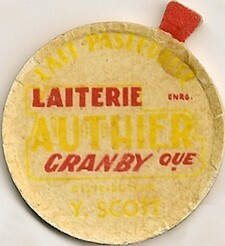 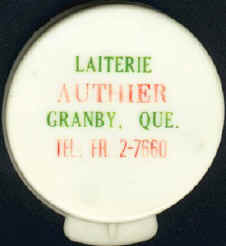 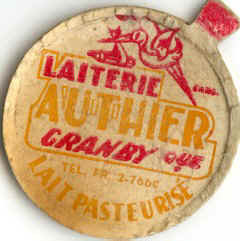 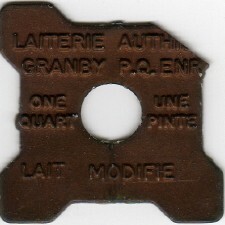 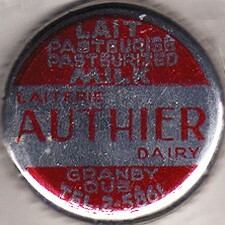 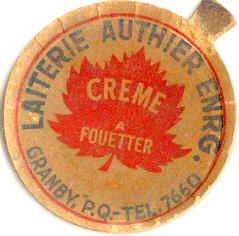 Mr. Germain Authier and his brother Gérard founded this dairy in 1952. 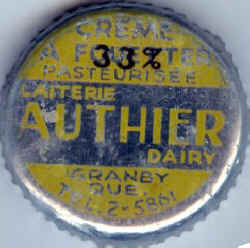 They bought the dairy from Mr. Gérard Meunier (Meunier Dairy). 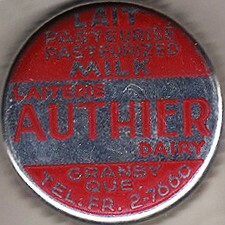 After the selling of his dairy, Mr. Meunier opened a Milk-Bar on route 112 near Granby. 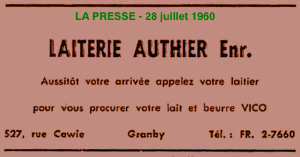 Germain was born September 18 1917 and he died March 23 1985 but Gérard his still alive. 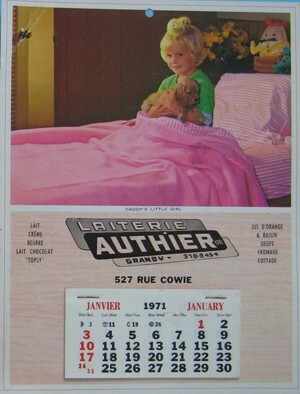 I lived on Cowie Street from 1952 to 1957 said Monique Authier, we occupied the the second floor just above the business. 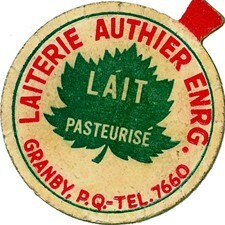 My two brothers, Denis and Yves, also worked at the dairy in summer time. 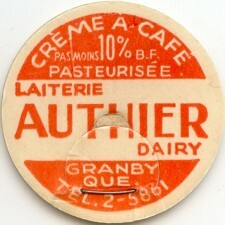 The Dairy was situated at the corner of Cowie and Decelles Streets in Granby. 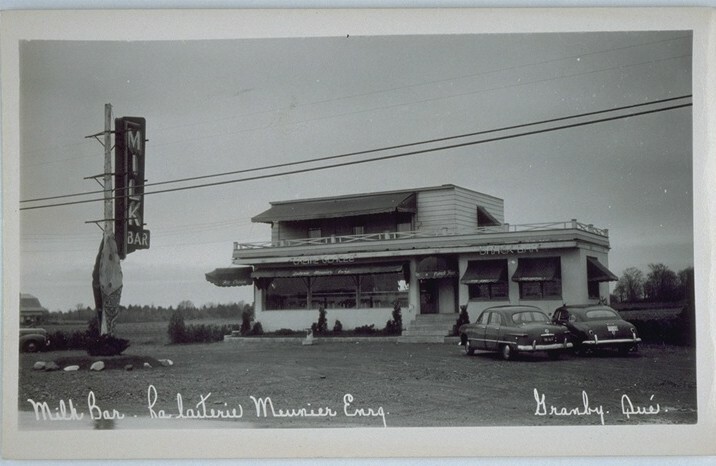 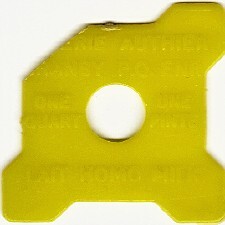 It occupied the rear part of the building. 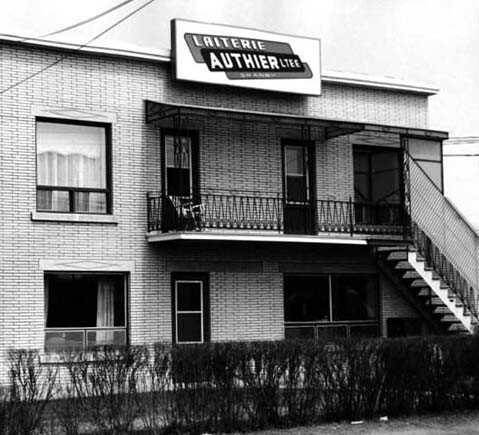 Today, a renting tools business occupies the building situated at 527, Cowie Street. 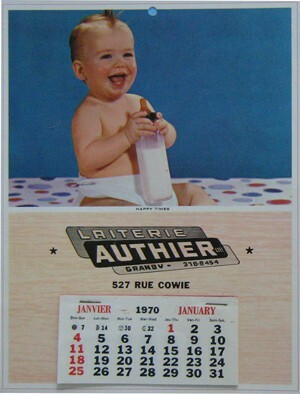 It looks like bottles are rare; I do not have any said Monique. 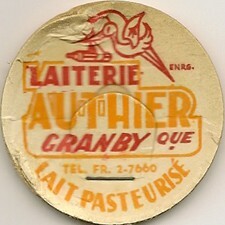 If I remember well, the quart only had the stork on it and was identified to the dairy. 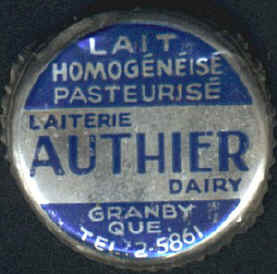 Others were made of clear glass. 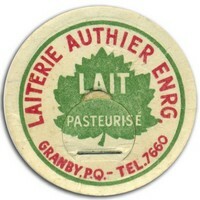 Sources: Monique Authier, Marc Gallant and Pierre Vanda.